Welcome to the Dunedin Methodist Parish website. With churches right across Dunedin, the Dunedin Methodist Parish invites to you join us at any of our services. For service times and church locations, click here. Take a look at our large database of interesting articles, read our latest news items or see some photos of our parish in action. This website is the property of the Dunedin Methodist Parish to promote the life, theology and policies of the Parish. 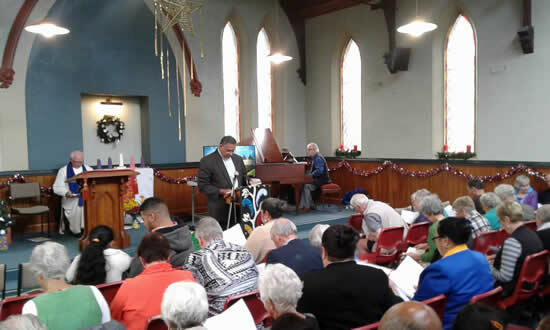 The Parish encourages original contributions from parish members, and includes material of significance for the life and work of the Methodist Church of New Zealand, Te Hahi Weteriana o Aotearoa. We are generally happy for our material to be reproduced elsewhere (preferably with acknowledgement) for a non-commercial purpose, but please note specific conditions on some pages.